Jewell is non-pouring oil for manually greased valve trains, usually called "grease"
We have provided this purpose-made rocker box grease since 2005. The reason is simple: once engines had evolved sufficinetly that longevity was becoming a characteristic, yet overhead oiling was still imprctical (a relatively brief historical period) the makers of the most reliable greasers ever built, the Pratt & Whitney and the Wright, were very clear: NEVER USE A YELLOW GREASE, one with fillers, use ONLY A NON-FLUID OIL. There is no modern generic substitute for this non-fluid oil of which we are aware. Standard Oil of California, all-season Rocker Box Grease. Substitutes and airfield experiments now abound. Aahh ... dirt strip legend. Good old Texaco Marfak (also available from us) was the choice of some manufacturers even back in the day, but is no longer formulated as it was in the pre-war years, Makers such as Kinner and Warner did not intend for you to use a #2 bearing grease in their engines' valve train -- NEVER!!! 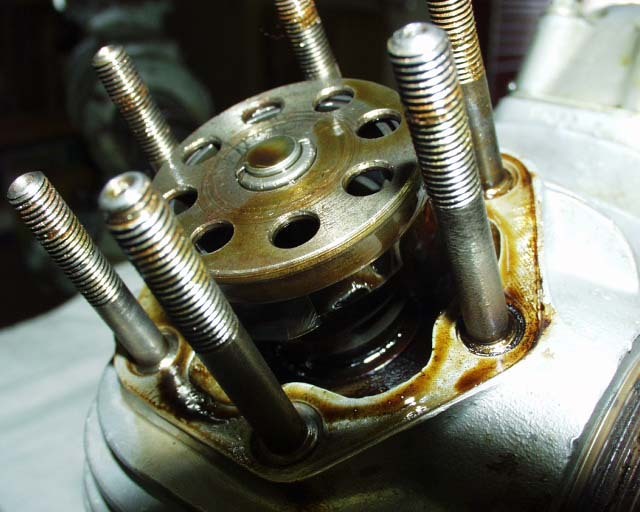 There is no other rocker arm grease -- all substitutes are hub bearing grease! We make the best -- the ONLY GENUINE AIRCRAFT VALVE GREASE on the market. You will see the difference (on your windscreen too) after your first flight. And the gurus of small radials will still have plenty of work, not to worry: they don't need you using Marfak to keep them in business (even though it helps). Warners and Kinners are no different. The volute valve springs in LeBlond, Lambert, and Rearwin's Ken-Royce derive further additional benefit. Without our product folks would have to use wheel bearing grease in their airplanes' engines! Lindberg would have cringed.
. Engineered for radial and inverted piston engines we use no fillers: just top grade mineral oil base. No separation. Flows and penetrates when warm, even into valve guides, congeals thick for unequaled corrosion protection when cold. No more caking, no more 200 hour valve jobs! Lindberg can relax ... now vintage engines are practical again, and reliable to use! Jewell Amber Oil is a trademark of Falconworks, Tucson, Arizona © 2006-2018, Falconworks Inc.